Corn silk tea is an herbal remedy that dates back thousands of years to the native peoples of the American continent. This is an infusion that is famous for its ability to flush out toxins from the body relieving many inflammatory ailments from your kidneys to your liver. Sweet and easy to make, this is a tea that should be part of your home remedy collection. 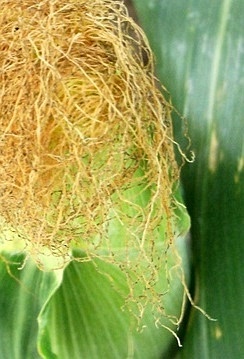 So take this opportunity to learn all about how corn silk can help you and at the end how to make a cup of healing tea. Come and learn more about this detoxifying tea! Corn silk is called stigmata maydis in Latin, meaning "mother's hair" as the word "mays" is said to come from a native Mexican term for "mother. 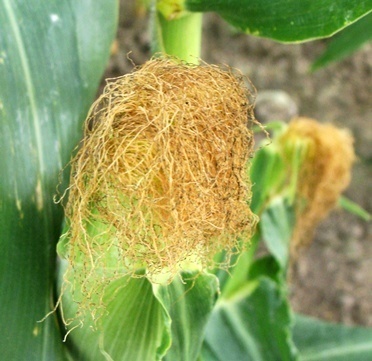 Corn silk is in fact made up of the silk strands, hairs or stigmas, which you find on an ear of corn. Corn, zea mays in Latin, is native to Central America and the Andes, but it can now be found being cultivated in warm climates around the world as it has become a staple food for many people. Maize was a term that is still used to refer to corn, but for a long time it was also used to refer to any form of cereal crop and was only limited to refer to corn in the 19th century. The corn stalk is considered a tall grass that can grow up to 3 meters in height. The corn cob is enveloped by think long leaves, a leafy husk, from which extend the fine soft threadlike stigmas or silk that measure about 10-20cm (4-8 inches). Corn silk strands serve the function of collecting pollen to fertilize each seed on the corn, forming a delicious yellow kernel. The soft strands start out being green in color, turning purple to red and finally a yellowish color. The silk is harvested in the summer, the best of which is found in young unripe corn cobs before it turns brown. It is separated carefully from the cob and can either be used fresh or may be dried for brewing as an herbal tea. Corn was originally domesticated by the native peoples of Central America in prehistoric times. As the European settled in the region, they began to spread this crop to other parts of the world through trade. Soon corn turned into a staple food for many cultures around the world. The use of corn silk as a form of remedy for urinary inflammation or as poultice to be applied over bruises and swellings has been tracked back to the Mayans, Incans and other American native peoples. It was also the Native Americans who showed the Europeans how to brew a healing tea from the strands of corn. Today corn is the grain most produced around the world with the United States being the top producer followed by China, Brazil, Mexico and Indonesia. It is used not only as a food for people, but also as a source for fodder for cattle. Corn silk is still used by many people because of its reputation as a herbal remedy in many traditional medicines in several cultures, but it has also found its way into the cosmetic industry as a face powder because it is thought to help soothe skin. 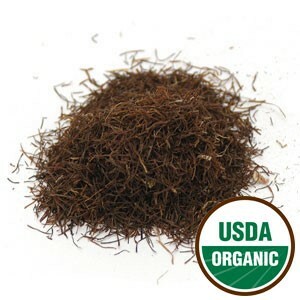 Corn silk contains a great variety of healthy components that make this tea a healthy option. It contains vitamins B6, C, E and K, and elements such as calcium, potassium, iron, selenium and zinc. Other components include allantoin, mucilage, saponins, polyphenols, glycosides, tannins, and alkaloids. Corn silk tea is said to be a home remedy ideal to soothe kidney irritation. It may help treat kidney, bladder and urinary tract infections. Drinking this tea may clean and coat the inner lining of your urinary tract, clearing way toxins, pus and the burning urine sensation when infection is present. This herbal tea supports the urinary system, soothing kidney and bladder inflammation and soothing the pain associated with inflamed and swollen prostate. Its antiseptic and healing action is ideal for these situations. Drinking a corn silk infusion may help with the passage of urinary stones and reduce the chances of sediment buildup in the future. At the same time it may help relieve some of the sharp pain that occurs when you pass a kidney stone. Bedwetting and incontinence may occur both in children and in adults of all ages. At times it is a nervous dysfunction that causes loss of control. A cup of corn silk tea may be a way of strengthening your bladder and your kidneys to help bring these situations under control. Sometimes a frequent and urgent need to urinate is a sign that there may be an underlying inflammation or weakness in the urinary system. Consider drinking this herbal tea as a treatment option. Of course, if the situation continues, talk to your doctor for a more thorough check-up. Corn silk tea may help stimulate your kidney function, promoting a diuretic action helping to expel toxins and excessive sodium and chloride from your system. This herbal tea could help reduce excessive water retention in your body and allow you to fight obesity in a healthier way, as it is said to promote the metabolism of fluids alleviating puffiness. Due to the presence of potassium in this tea, corn silk functions as a perfect diuretic as it balances out potassium depletion through increased urine flow. The diuretic action of corn silk tea may help more than just to detoxify your kidneys and bladder. It may also cleanse the liver and gall bladder, helping both these organs to function better. This herbal tea improves the liver, being a possible remedy for jaundice and other liver ailments. It is also said to help balancing out hormone production in the body, soothing the effects of premenstrual syndrome. Drinking corn silk tea is said to flush out toxins that cause inflammation in your joints thus possibly helping to relieve painful arthritis and symptoms of gout. A cleansed gallbladder could help boost the production of bile, allowing your body to metabolize your food faster and boost liver function at the same time. Corn silk tea is often recommended for high blood pressure. Its diuretic action is said to help your blood flow better and thus reduce the chances of blood clots forming in your blood vessels, leading to serious heart problems. At the same time, this tea may help reduce the level of sugar in your blood, preventing other diseases related with hyperglycemia. This herbal tea may help strengthen your circulatory system, preventing heart trouble by hardening your arteries, and reducing the possibility of the onset of anemia. Making a cup of corn silk tea when you feel like your stomach isn't doing its job can be a good idea. This herbal tea is said to treat indigestion and speed up poor digestion. Its cleansing action helps to support bile production and other digestive juices. Drinking a cup of this herbal tea may also help soothe inflamed tissue in your digestive tract, healing and protecting your intestinal and stomach lining. An improved digestion may also help you fight obesity by eliminating unnecessary fats and wastes from your body as well as flushing out excessive fluids stored up in your body. Corn silk tea may be considered a sedative tea in the sense that it helps to reduce pain associated with muscle cramps. It is also said to be relaxing and soothing when it comes to pain related with inflammatory conditions such as carpel tunnel syndrome and arthritis. Remember that this herbal tea may help to alleviate pain associated with urinary conditions or stomach issues caused by indigestion. Applying cooled corn silk tea to your skin may help clean wounds and speed up healing. It may also be used as a way to soothe your skin and treat skin ulcers and boils. Gently apply this tea with a clean cloth to relieve skin irritation and inflammation. Its antiseptic action may help clear away harmful bacterial and microbes that could cause infection. Corn silk tea is an herbal remedy that has been around for centuries. Although it is considered a gentle remedy that may be used for long periods of time, there are still some recommendations that you should be aware of. This is considered a generally safe herbal tea with very little side effects associated with it when taken in the proper medicinal dosages. Allergic reactions may occur when drinking or applying this tea, especially if you are allergic to corn in the first place. Symptoms may present themselves in the form of itchiness or skin rashes. If you are allergic to tannins, then you may experience a reaction to this tea. It is best and safer to search for an alternative remedy. If you are taking any form of prescription medication for diabetes or involving lithium, then you may need to speak to your doctor. This herbal diuretic tea may require you to adjust your dosage, something that should be monitored by your doctor. If you are pregnant or breastfeeding then you should not drink this tea, as there is not enough information to establish that is herbal tea is completely safe for you and your baby during these stages. Do not drink this tea in conjunction with other diuretic medications, particularly when prescribed for you. Overtaxing your body with diuretics may do you more harm than good; and chemical interactions with the tea may be harmful. Do you have a history of severe kidney or liver problems? Talk to a doctor before drinking this tea. While it may help treat milder ailments, this herbal infusion may require some level of functionality in order not to damage your organs even further. Avoid drinking this tea when taking medications for blood clotting. It may help to promote blood flow and alter your blood pressure and sugar levels, but it also may enhance or inhibit the effects of your medication in a dangerous way. Make the most of this herbal tea in the safest way possible and it may prove to be a helpful ally. You can make a soothing cup of healing tea in your own kitchen. All you need is to learn how to make corn silk tea. It is possible to make your tea using either fresh or dried corn silk, but it is considered best when you use fresh corn silk for a more effective herbal remedy. 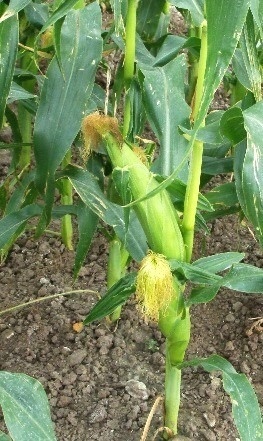 If you are using fresh corn silk then look for golden strands rather than browner ones. Start by bringing water to a boil (100ºC). In a teapot place about 1/4 cup of fresh corn silk per cup of water, alternatively you can use 2 teaspoons of dried herb per cup of water. Pour the boiling water into the teapot, put the lid on and let it steep for about 10 minutes. Once it is ready, strain the tea into a mug and drink 3 times a day. You may add a squish of lemon or lime to add a zesty flavor to your tea. This is considered a sweet tea, but if you feel the need to sweeten it, consider adding a bit of honey. This tea should be taken for a week to 10 days and then you should take a break of 3 to 5 days. This allows your body to try to work on its own. If the problem does not go away, then consider talking to your doctor, as a simple herbal remedy may not be enough to fight your health issue. Blend corn silk with ginger when making your tea. Cut up fresh ginger root and add it to your tea as it steeps. This will not only enhance the flavor of your tea, but it will also boost its health benefits. Find out more about ginger tea benefits. When planning to treat cystitis, you may combine corn silk with buchu, couchgrass, bearberry or yarrow. You don't have to drink this tea warm all the time; corn silk tea is a great to serve over ice in the summer. Do not add milk to this tea as the milk will hinder the health benefits of the tannins in corn silk. Drink this tea up until 3 to 4 hours before going to bed as it will help strengthen your urinary system without disturbing your sleep. Buy Your Corn Silk Tea Today! Click on the image or on the link below to purchase from Starwest Botanicals your Organic Corn silk. Make your herbal tea using organic corn silk to help you deal with urinary problems. This corn silk comes in either chopped silk strands or in powder form so you have both options for brewing a cup of tea. Buy your corn silk tea! Corn silk tea is a helpful detoxifier as well as a home remedy for mild urinary situations. Consider giving this tea a try.